Whether you’re commuting to your treatment center, passing time at your doctor’s office or just enjoying a peaceful weekend at home, a good book can be a perfect partner for your downtime. If you’ve already worked through your 2013 summer reading list, or if you haven’t made any selections just yet, our recommendations can fill up your bookshelf far into fall. In a story many mesothelioma patients can relate to, David Adams goes to the doctor to report strange pain and is diagnosed with an incurable cancer. This emotionally charged 2012 publication is the true account of the events that followed. Introspective, insightful and spiritually challenging, The Strength to Stand chronicles Adams’ changing outlook on the situation, as well as his determined fight to beat his medical team’s prognosis. Best-selling author Khaled Hosseini (The Kite Runner, A Thousand Splendid Suns) made his literary return in the spring with his third novel, And the Mountains Echoed. Exploring themes of care, sacrifice and familiar bonds, this powerful work begins with a spoken tale of how fate isn’t always as bad as it seems. Hosseini’s captivating narratives make this book an absolute page-turner. As an incredibly powerful creative outlet, art has helped many people intuitively process their emotions. (We’ve even spent some time looking at the therapeutic benefits of art therapy.) If you’re intrigued, but not sure where to start, The Art of Zentangle can get you in the swing of things with simple prompts. The reader is guided to focus on the process of creation, rather than the end result itself, so that they can use the experience to meditate and express their hard-to-verbalize concerns. Exploring the mental and psychosocial challenges that cancer patients face, What Helped Get Me Through is packed with profound wisdom from survivors. Stories from celebrities and everyday people show that while everyone copes differently, there are several aspects of the coping process that are universal. This title also provides special insight for loved ones and caregivers of mesothelioma patients. Taking an extremely humanistic look at asbestos exposure, An Air That Kills explores the health crisis that the asbestos industry caused in Libby, Mont. Packed with patient interviews, dramatic background information, results from public health surveys and conclusive scientific findings, this powerful expose reveals what really happened at the site of the W.R. Grace asbestos mine and the frustrations the town’s residents have experienced since its closing. To end things on a lighter note, The New York Times’ 36 Hours will lift your mind away from its current location, and whisk it clear across the nation. Filled with beautifully written “dream weekends” and color photographs, you’ll find yourself adding must-visit locales to your bucket list. Whether your heart is revitalized by the calming ocean breeze or the bustling hub of a large city, perhaps a relaxing trip to celebrate your recovery is in order? What books were must-reads on your 2013 summer reading list? 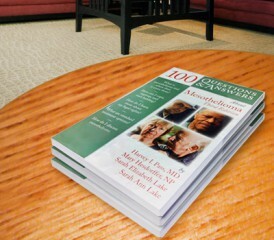 For free copies of our informational mesothelioma books, just let us know which titles you’d like to receive.